Today is an exciting day for me! After months of hard work, my goals are finally becoming a reality. 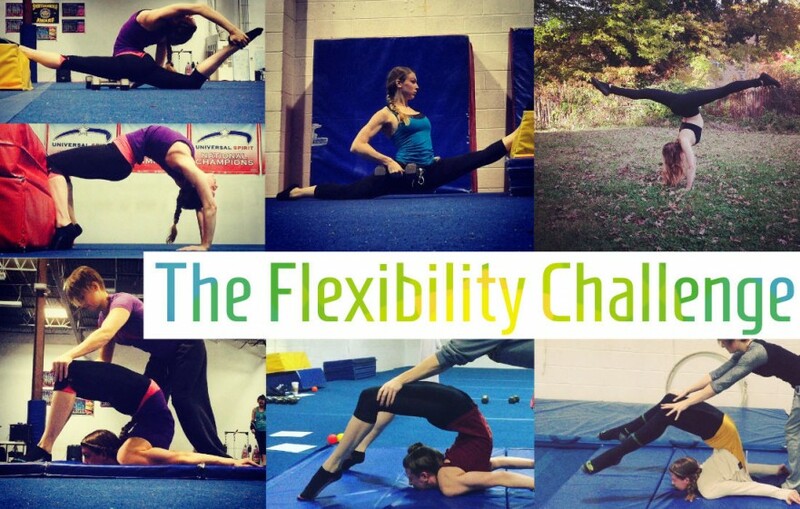 Today I am launching The Flexibility Challenge, a private community where increasing your flexibility is the main goal! you can still save 20% on 100 day membership passes until March 31st! 30 day membership passes are now for sale!! The core of this program is the consistent basic warmup and dynamic stretching routine. These are a huge part of your flexibility success! There is also a whole guide to stretching, so if you are unsure what to do next, don’t worry it’s covered. Tracking progress and sharing it with others has been a very important part in my journey. Progress photos kept me inspired and when I shared them with others, I was encouraged to continue pushing forwards. Little centimeters of success were and still are celebrated! It was important for me to add the ability for you all to be able to upload your progress photos and share your journey with the community easily and effortlessly. The most exciting part about the community, that will grow with time, is the forum. One of the forums that I believe will be most popular is the Community Support Forum. Here you can share your stretching experiences, anyone with a membership pass can ask a question or reply to existing questions. You can sign up for personalized support via email or private forums. You can also signup for video chat private lessons. There is just so much you can do, you’ll just have to check it out for yourself! Since the 100 day contortion challenge I have been continuing my practice, not as vigorously but enough to still make small improvements. 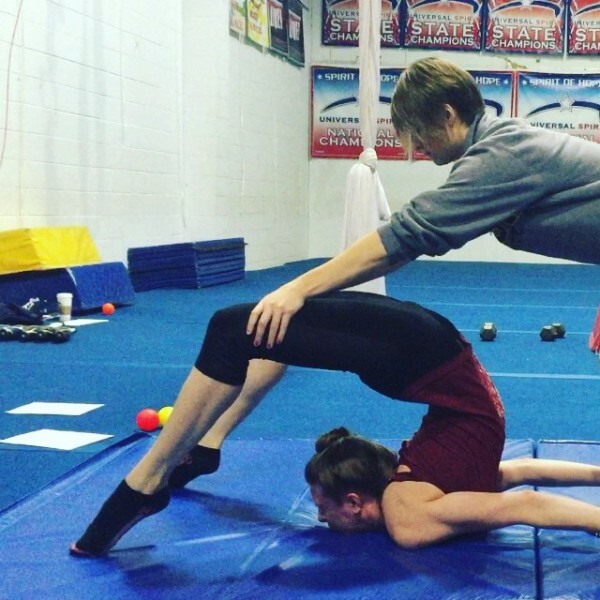 I also started going to semi private lessons with Shelly Guy, an amazing contortionist here in the DMV area. 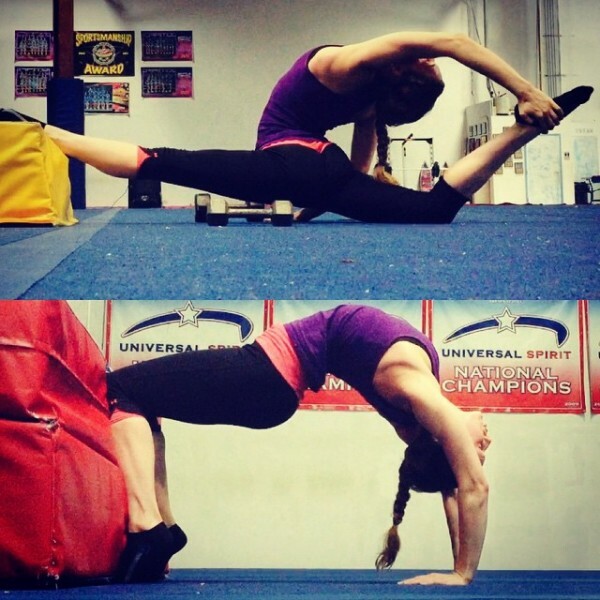 Here are some results from my weekly contortion classes. I still had to do stretches at home to keep loose! You will find me doing handstands just about anywhere, the only way to get better is to keep practicing! First time ever doing a chest stand and being able to touch my feet to the ground. It definitely helps to have a partner push you down. It takes a minute to see the difference but you can tell my legs are more parallel to the ground in week 3. I also gained the ability to be able to kick over by myself! Hurray! Over split practice with weights, is a new one I never tried, but it works! Week 5 was monumental! I finally got my feet flat on the ground and my neck seems to be much more flexible. The first picture below is static prep stretches for the rainbow marchenko on the pole or the needle in contortion! The second picture is my first attempt at a chair bridge. Thought this 100 day flexibility challenge I will focusing on chair bridges so that I engage my upper back more than my lower back. ….and now the fun begins! I have written out my goals, my commitment and strength and weaknesses in my profile. Now I’m ready for the official start date, April 1st, to begin my 4 days per week 2 hours per practice routine! I challenge you all to reach you flexibility goals with me!